Portfolio Categories: Case Studies, Degassing, Turnaround Services, and Vapor Control. 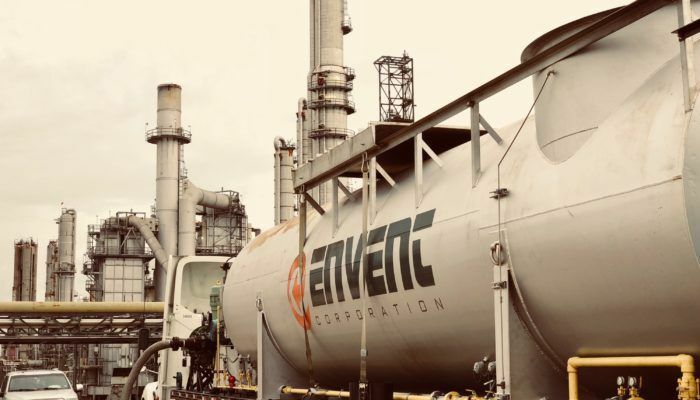 Envent was challenged with depressurizing a propane line, within the confines of a gulf coast refinery. The line measured over 2 miles, was above 200 psig, and was full of liquid propane gas. 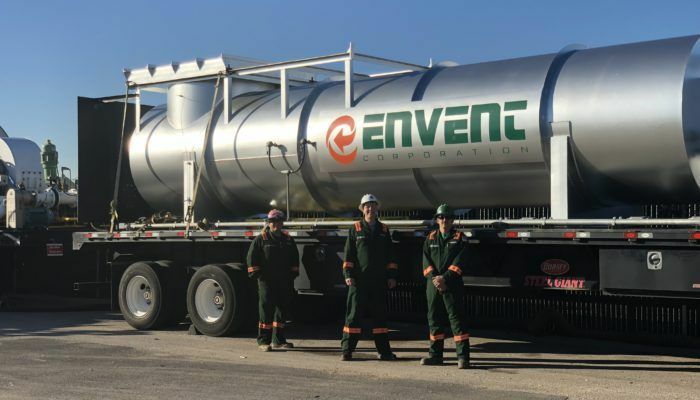 Envent needed to ensure the pipeline was cleared and ready for Hotwork within a 2 day time frame due to inclement weather from an approaching tropical storm. To further complicate matters, the hosting refinery was in turnaround mode and lacked critical support to prolong or accommodate changes in schedule. 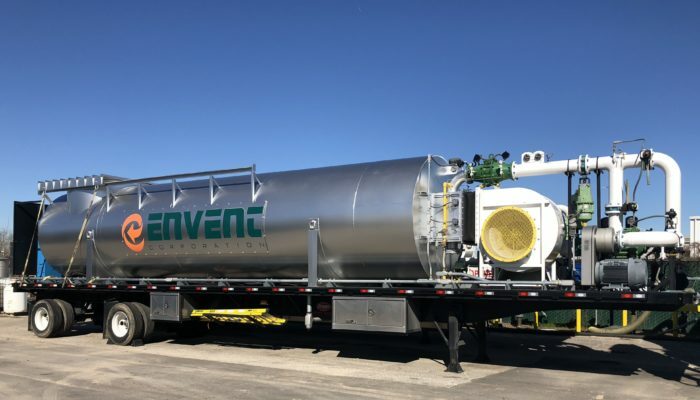 Envent deployed a series of LPG vaporizers, multiple skid regulators, ASME rated liquid knock out pots and the largest mobile thermal oxidizer in the industry; our EMECS 70. Envent was able to depressure and N2 purge the pipeline to 0% LEL within 8 hours, from start to finish. Envent exceeded the goal to degas within the tight time frame; this allowed the customer to perform the maintenance required in record time. Our higher pressure >200 psig and 2 mile pipeline completed in less than a shift. A shorter 3/4 mile long 115 psig pipeline, cleared by a competitor, took 4 full days to complete.